Like Bonnie and Clyde, Sonny and Cher, or Simon and Garfunkel: You can’t mention Central Otago and not think of Pinot Noir. But what makes it such a good place to Pinot? Well, the place itself is pretty much perfect. Right at the bottom of New Zealand, Central Otago is the world’s southernmost wine region (and its country’s highest). This grape is finicky, hard to grow, and it HATES heat, so it needs cooler climates, but it does best when planted in warm pockets of those cool places. Central Otago is cool – cold even – with temperatures dipping as low as -10 degrees in winter. And in summer, it gets hot during the day (the mercury often hits 40 degrees) but it’s still cool at night. So, grapes ripen during the day, then they refresh over night. Ripen, refresh. Ripen, refresh. It’s this variation between those warm days and cool nights that give the wines a darker, fuller flavoured feel, and that help make Central Otago Pinot so unique. Although, as with any region, there are always exceptions to the rule. If you need more proof, just look to France. 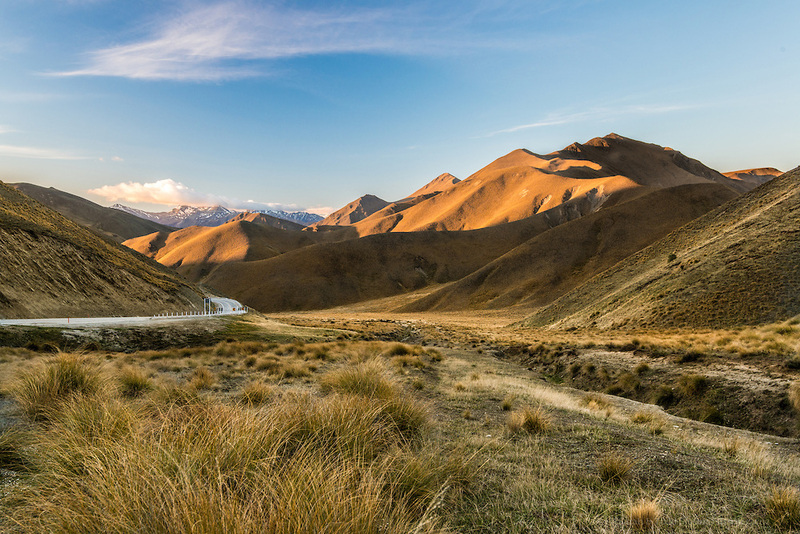 At 45 degrees south of the equator, Central Otago shares similar climactic conditions to Burgundy and the Rhone Valley – two of the most famous French wine regions. So while there’s a bit of Riesling kicking around, some Pinot Gris and Gewürztraminer, bit of Chardonnay and some Sauvignon Blanc, Pinot Noir is estimated to account for 70% of all grapes grown in the Central Otago region. That’s a lot of Pinot. But growing grapes and making Pinot Noir is just one way to do Central Otago. There are mountains to ski, rivers to fish, and trails to hike. Burn Cottage thinks you should give bungee jumping a go; Charteris recommends frozen chicken curling on Lake Diamond in winter (yes, it’s a thing); and Rockburn reckons a pork pie from Cromwell’s The Fridge butchery and delicatessen is the way to do it. With the help of our favourite wineries, we’ve put together a Central Otago itinerary for you. Start at Wet Jacket Wines and follow the path till you finish up at Rippon, stopping off to check out each winery’s recommendations along the way (if you choose!). We’ve even collaborated on a rocking Pinot Playlist for your journey. We asked each winery to pick a song to listen to on your way to them, and one to listen to when you’re driving away. The result is a fascinating insight into both the people and the wine styles themselves. So go forth and explore. Get to know the wineries along they way and get listen to their take on the region and how they live it. After all, this is where they Pinot.